Yik Yak has been just one year old, and has reached million of users. With so many clone apps created, this app marked with the great strikes and spreading like a storm among young generation. Why not grab this opportunity to build around the monetization and attract millions of users with billions of revenue. To carve a vocation, MAADI (Mobile Application Development India) sketches out the same with the help of our iOS developers. We believe in the uniqueness and our mobile app developers have sculpted the alcoves by building Yik Yak like anonymous social messaging clone apps. We count on an entrepreneurial approach to work. MAADI creates perfect environment to take a step ahead for any business model to keep your place in the market for both dynamic and challenging global markets. We follow an entrepreneurial approach to work where ideas are motivated and our iOS developers excel it in a new shape. More than this we also promote your apps when you collaborate with us to create an anonymous cloning app. What is the time span to required to build Yik-Yak clone? Generally, the estimated time for the application depends on the needs and wants of your clone application. What will be the specifications for the Yik-Yak clone? You can add some unique features like quality content and upvotes from other people. Even your posts can be anonymously to the public, you can have news, jokes, experiences, which can be viewed by your community. Even you can specify your own unique ideas to make your app an amazing one. How to make revenue out of Application? You can earn huge amount of money through advertisement, Gizmos rewards/ Price/ Points System and in-app purchases like to unlock features, premium stickers etc. How will the Yik-Yak clone developed by you stand out of Clutter? It will entirely depend on the niche you choose. 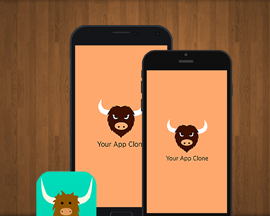 We ensure you with the unique Yik-Yak clone app according to your specifications that is well-tested and get confirmed as per your need. Also, we get you with the best features to market your app. How to trust on your words? These are user ratings if the post gets famous, it receives increasing no. of upvotes and for negative downvotes the no. of upvotes displays a positive number next to it. If the post has negative numbers and reaches -5, then it is deleted permanently.